Known worldwide as the ultimate product for EPA registered, hospital grade disinfection in salons, barber shops and spas. The iconic blue liquid is trusted and effective earning its reputation for creating a safe and clean salon. 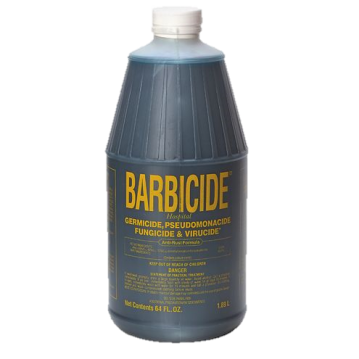 Barbicide concentrate is economical for use in every salon, barbershop and spa!